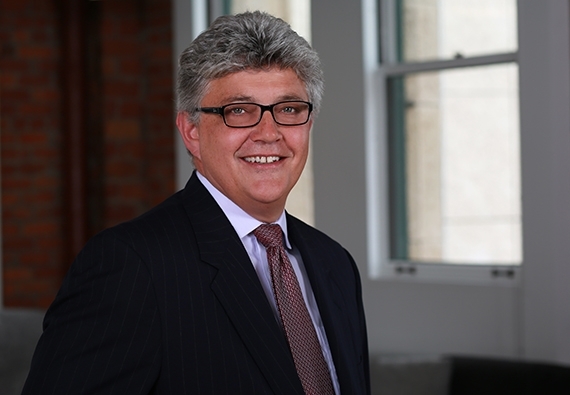 Rick Van Duzer is chair of Farella’s Construction Practice Group and maintains a multifaceted civil trial practice, with an emphasis on the construction, real estate, and wine industries. Over the past 30 years, Rick has represented wineries, grape growers, vineyard nurseries, and many other wine industry businesses in a variety of matters, including grape contract disputes, defective cork and rootstock litigation, negligent wine processing claims, trademark infringement actions, and ABC/TTB trade practice negotiations and litigation, as well as partnership dissolution and real estate disputes. His practice is a general one, and encompasses the full spectrum of legal issues related to the wine industry. In his construction practice, Rick has represented contractors, owners, subcontractors, and design professionals in connection with disputes over delay and cost overrun claims and construction defects arising out of a variety of projects, including commercial office buildings, hospitals, mixed-use developments, hotels and resorts, underground subway stations, rail systems, dams, and cogeneration power plants. Although every case is different because every project is different, Rick has a particular knack for understanding how projects are built, working with experts to marshal the facts and analyze important technical issues, and distilling every dispute, regardless of project size, to a handful of key bones of contention which will drive the outcome. Rick’s approach is to identify and focus on the key issues as early as possible, so as not to waste his clients’ time and money pursuing needless or irrelevant details. Outside of the Wine Country, Rick is experienced in counseling clients throughout the San Francisco Bay Area in a variety of real estate matters, including sales/purchase disputes, partnership disagreements and dissolutions, partition actions, commercial landlord/tenant claims and disputes, easement and boundary claims, CC&R enforcement actions, and entitlement protests. Rick sees himself as a practical problem-solver and a “peddler” of good judgment. Although some cases need to be tried and Rick is very capable of trying them, he believes that if you reach the point of having to try a case, someone has in all likelihood failed along the way. Through the exercise of sound business judgment, common sense, and legal skill and acumen, Rick helps clients get what they need, even if it is not always exactly what they want. Rick regularly speaks on construction and wine industry issues of interest. He is a past member of Farella’s Advisory Board. He is recognized by Northern California Super Lawyers (2011-2018), The Best Lawyers in America (2013-2019 Litigation – Construction) and in The Legal 500 United States (2016-2018) in the Construction practice area. I am a trial lawyer who helps construction, real estate and wine industry clients solve problems with good business judgement and tenacity.